DO YOU HAVE GAMES FOR iPAD? The following games by 7 Generation Games are iPad compatible and accessible. If you’re the one-stop shop kind of person, you can just go to our AppStore page here and see all eight games. 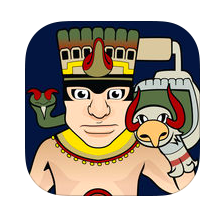 Click here to get our games in the App Store – for iPad. Or if you’re interested in learning more about each game you can read more below. In fact, the first three are on us! 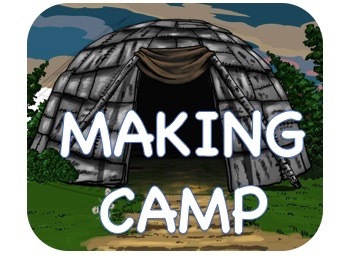 Making Camp is also available as a native iOS (iPad only) and Android (phone and tablet) app for free. Just click the respective icon below from your compatible device – or search “Making Camp” in the App Store or Google Play Store. In Making Camp Lakota, players practice multiplication and division skills. They’ll also be introduced to Lakota history and culture. 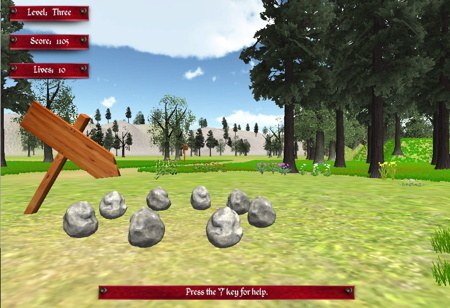 Earn points by solving math problems and answering social studies questions in the village-building simulation game as you earn items to customize your tipi.Created with the Thunder Valley Community Development Corp., Making Camp Lakota is the the FIRST fully English/Lakota bilingual, cross-curricular math video game. Canoe through the rapids. Find enough food for your village’s survival. Figure out “what’s fair.” Who knew you could get this excited about fractions? In Fish Lake, players practice fractions and learn math problem-solving strategies. They’ll also be introduced to Native American history. Recommended for grades 4 and up. Whether you are teaching English language learners or want a fun app to expand your Spanish vocabulary, Making Camp Bilingual fills the bill. Packed with videos and activities, players practice multiplication and division skills while learning math problem-solving strategies. They’ll also be introduced to Native American history. Learn math and social studies as you building out your own virtual wigwam – in English and Spanish! Aligned to Grade 3 standards. 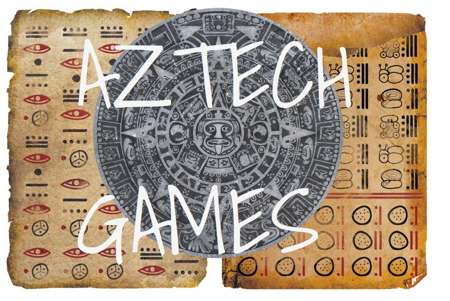 AzTech Games is a fully bilingual multi-part adventure games series aligned to Grade 5 and 6 math standards. What was just an ordinary day in history class becomes an adventure, as Xitlali and Jose find themselves transported back more than 1,000 years in time. Drawing from math, history and language arts, they need to find a way to make it home. Check out the first chapter of the AzTech Games series, where players apply real-world applications of math (including fractions, averages and multi-step problem solving) as they embark on what soon becomes an unbelievable journey. How does one find themselves whisked from Iowa in 2015 to somewhere in the Pre-Colombian jungles of the Yucatan? Play AzTech: The Story Begins to find out. It’s available for iPad as a free download. Game 2 picks up where AzTech: The Story Begins leaves off – in the heart of the Mayan jungle. In this fully bilingual game, players learn and apply skills from how to read timelines to understanding distributions to reading pictographs (and more!). Available in the App Store for iPads for $1.99. We’ve been asked for years to develop a game for younger students. We listened. Counting by Two Languages is our first app for pre-school age and up teaches counting in English and Spanish. Kids will love seeing virtual numbers pop up in their real world in this new app from 7 Generation Games and Strong Mind Studios. Bring numbers to life in two languages in this interactive augmented reality app! 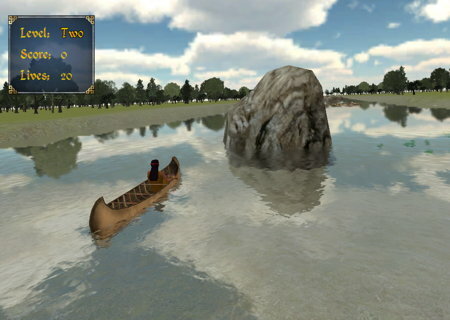 And we have more coming soon with iPad releases for Spirit Lake and Fish Lake slated for this summer!